* Mariell's luxurious Cubic Zirconia Tennis bracelet has a high polished Genuine Rhodium frame and measures 7 1/2" long by 3/16" wide. 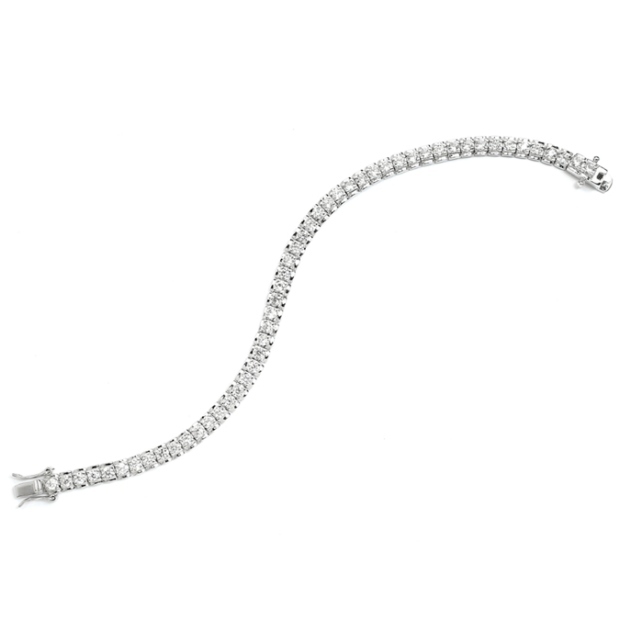 * This designer wedding bracelet has the safety clasp used on genuine platinum and diamond jewelry for that "look of real". 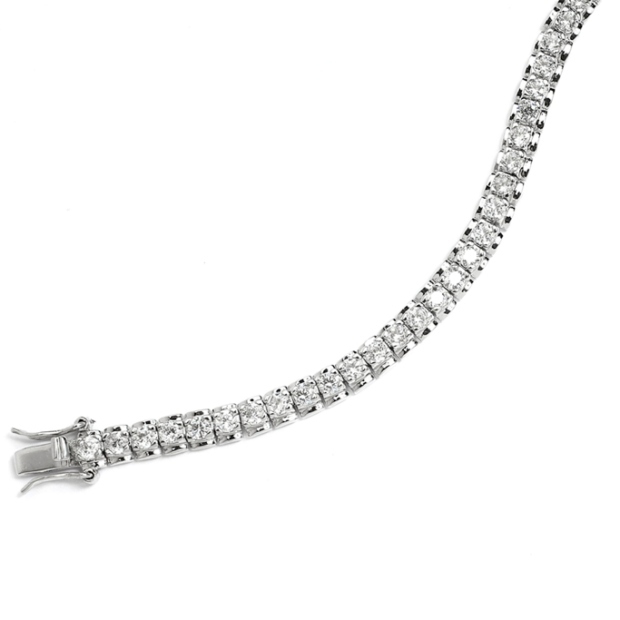 * This glamorous wholesale wedding tennis bracelet by Mariell features sparkling Cubic Zirconia uniquely framed with high polished Genuine Rhodium with that distinctive look of real diamonds and platinum! * This "never tarnish" bracelet features AAA grade CZ gems and will add glamour to any bridal or special occasion jewellery display!